It's Friday, and a special day for me and my blog! Happy 6 month Bloggy Anniversary!!! Yay! 6 months ago on this day, I went on a whim and started a blog. 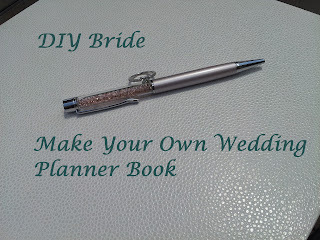 My first post as a bridal blogger was "How to make your own Wedding Planner" and since then it's been the most viewed post on my blog! In celebrating my blogs 6 month Anniversary, I will re-post this, and thank all my readers for appreciating this post so much! Blogging thus far has been such an enjoyable experience, and my only regret is not doing it sooner! I started by searching google, tumblr, and pinterest. I came across several awesome sites that offer you an effective planner that include timelines, lists, contact info, etc. I already had a binder that I loved, so I started with that. 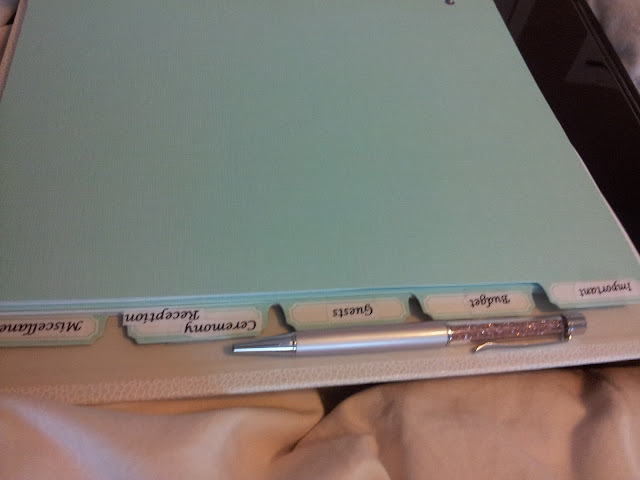 I did get it at Staples, and it's a Martha Stewart office supply (1 inch binder). I absolutely love Martha Stewart office supplies, and I actually made my lesson planning book using the Martha Stewart's discbound notebook. Anyways, Staples always has coupons in their weekly ad for the Martha Stewart's office supply line. I did buy new dividers for this planner, and a zip pouch to hold all my small business cards. (These are apart of the Martha Stewart office supply line at Staples.) The beautiful pen that's on top of my planner was actually a gift, but it's a Swarovski Crystalline Rose Pearl Pen. I call it my teacher/bride pen. 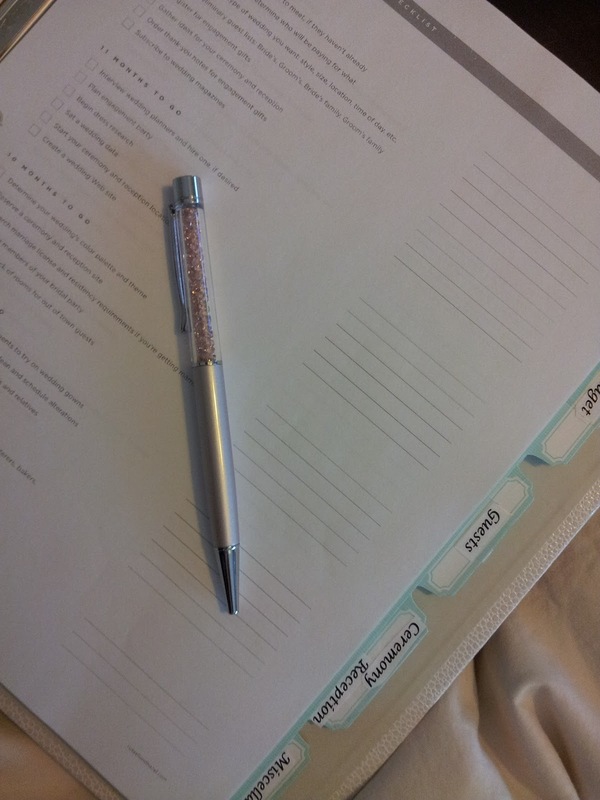 First, I have to tell you that all the paper that's in my planner was printed, and FREE!! (I will include the free printable links. 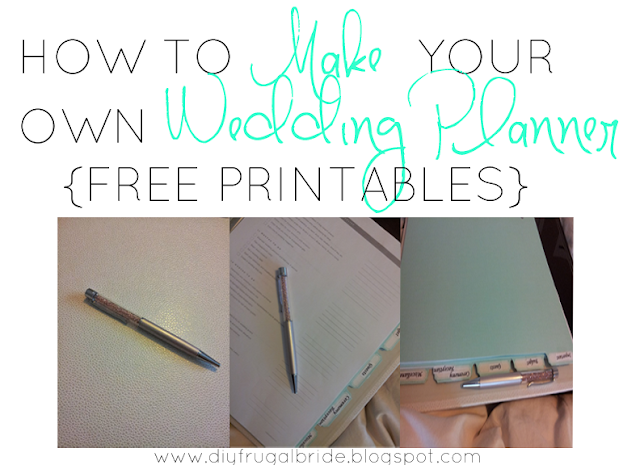 Free printable Wedding Planners are everywhere online.) I started with my calendar. I actually found this calendar on a website called Infarrantly Creative. (Thank you Infarrantly Creative for this calendar) Click here for the Free printable calendar. Don't get scared if it refers you to a blog planner website. 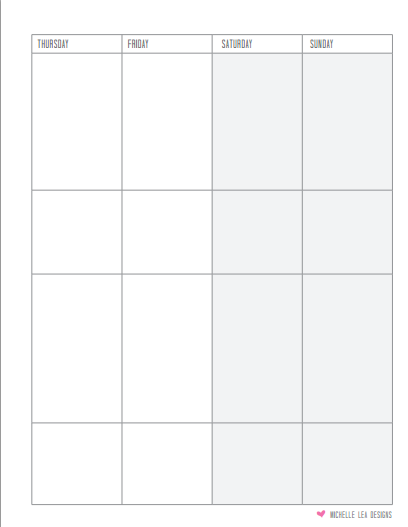 This is a blog calendar, Yes...lol but I have my specific ways, and I preferred a portrait calendar over a landscaped calendar. I have to have my calendar, because it's not a planner without one. 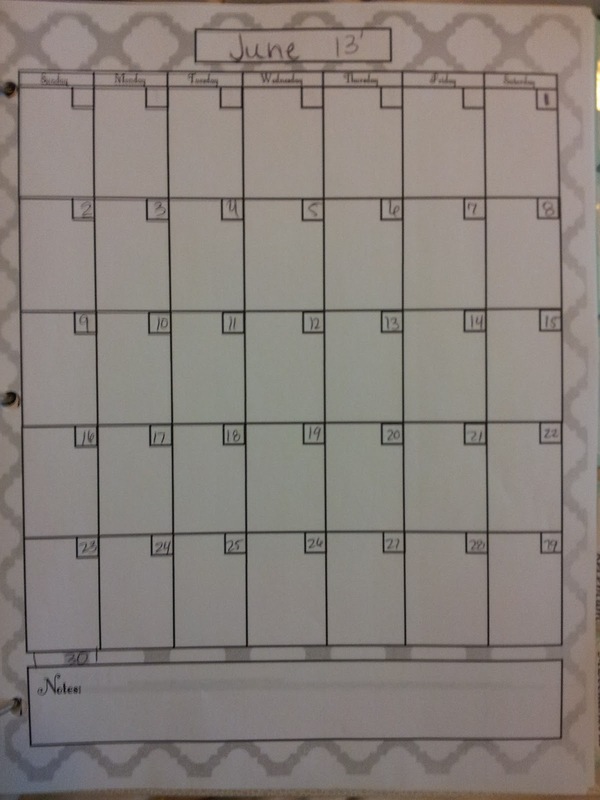 If you plan differently and don't need a calendar, then go ahead and skip this step. I should also include that Martha Stewart actually has an insert-able calendar to go with this binder. If you prefer it, but I didn't get it because it was pricey and I thought why buy something you can get for free on the Internet right? So I searched, and searched and finally came across this calendar. You can fill it in and print out as many as you need. 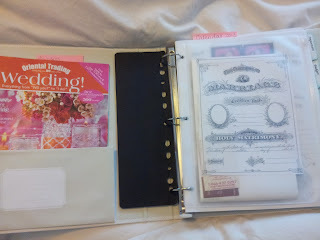 UPDATE 11/15/2013: Since writing this post, I do use the calendar in this planner, but I also found another great resource from Michelle Lea Designs. 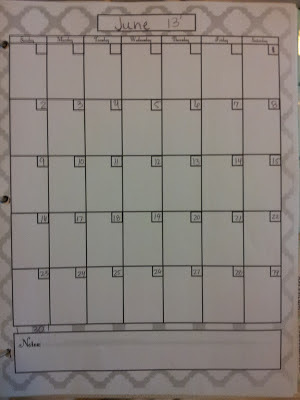 I need a weekly planner to help me organize my weeks separatley. I used this weekly planner in my bridesmaids planners, and I love it so much I printed out 52 weeks of the weekly planner for my own Wedding Planner. 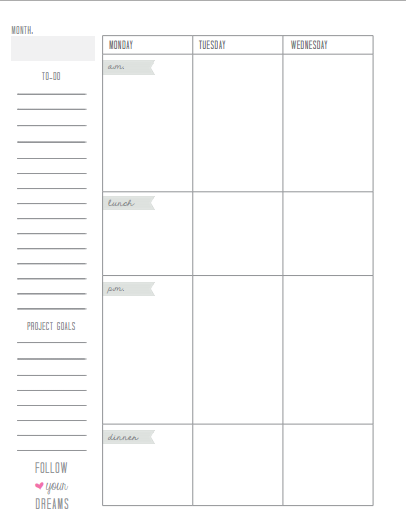 Michelle's blog has so many other printable planners for all you DIY ladies out there, I strongly recommend that you visit her blog to find so much more!! 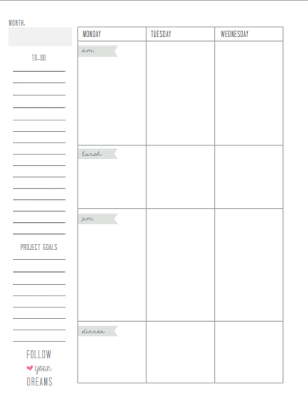 If you want to print out this weekly planner go to Michelle Lea Designs blog. or Click here. 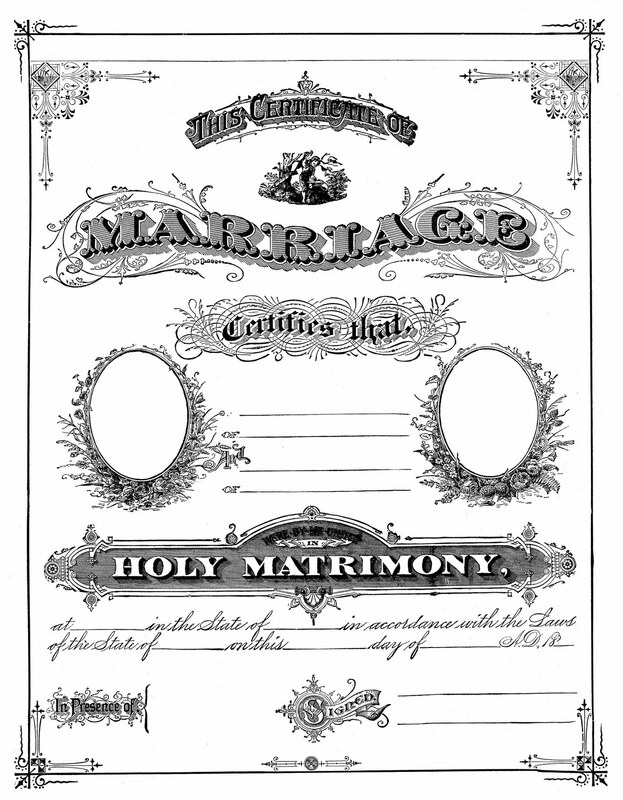 For the cute "Marriage Certificate" Free Printable click here. This is from a fellow blogger on blogspot The Graphics Fairy. Thank you for the cute little certificate Karen The Graphic Fairy. The Graphic Fairy blogspot. 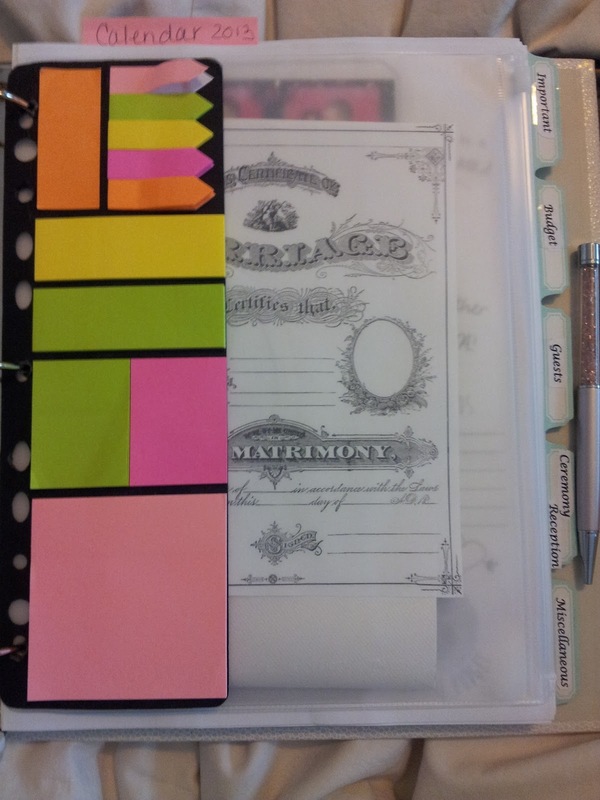 I used 5 dividers to mark the most important things in my wedding. I'm not throwing a huge wedding so I didn't need separate dividers for every little thing. Reception costs, food & drinks, flowers, photos, transportation, music, etc. The Wedding Planner I use (downloaded, and printed) is from Russell&Hazel. click here to get the russell&hazel free printable wedding planner. Thank you Russell&Hazel for this amazing wedding planner. It has almost everything that you need. It's free, and downloadable. It's getting the job done. I also used a wedding stationary from Chrystalace Wedding Stationary click here for Free printable. 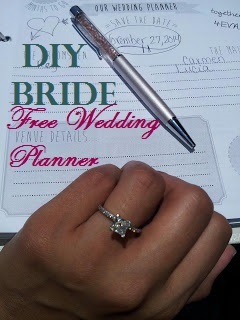 Here are some more resources that I didn't use in my Wedding Planner, but I thought they were great and very useful! !